At the upcoming NAB (National Association of Broadcasters) Show 2019, Rohde & Schwarz will present a solution for the future transmission of media content using 5G Broadcast. With the new technology, R&S aims to help broadcasters be able to reach smartphone users directly. 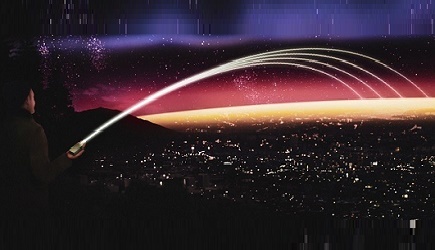 According to R&S, by using a high-power high-tower (HPHT) network topology as an overlay for mobile networks, transmission will be significantly more efficient and cost-effective than before. In recent years, media consumption has increasingly shifted to smartphones and other mobile devices. Reaching billions of smartphones will be the future of broadcasting in line with ATSC and 3GPP. 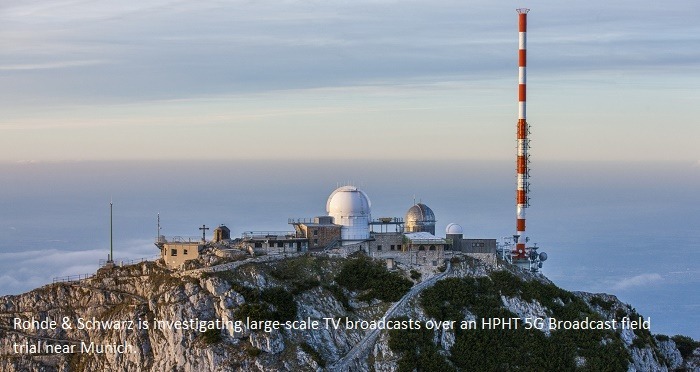 As a part of the Bavarian research project ‘5G TODAY’, Rohde & Schwarz is investigating large-scale TV broadcasts over an HPHT 5G Broadcast field trial near Munich. The project is also supported by Kathrein, Telefónica Germany and Bayerischer Rundfunk, who is providing two HPHT sites near Munich for the field trial. The company will highlight the advantages of this technology at the Rohde & Schwarz booth and will demonstrate the first end-to-end solution for LTE/5G Broadcast. The 5G Broadcast experts will speak at the Broadcast Engineering and Information Technology (BEIT) conference and discuss this topic on Tuesday, April 9, 2019.